About We Gleam - At We Gleam - We Clean Carpets! 21 years experience in the care and maintenance of carpets and upholstery,we want to build up a long term relationship with our clients,so we offer a 100% money back guarantee if you are not entirely satisfied with our quality of work thats how confident we are with our expertise and knowledge in the field. we come at a time to suit you. 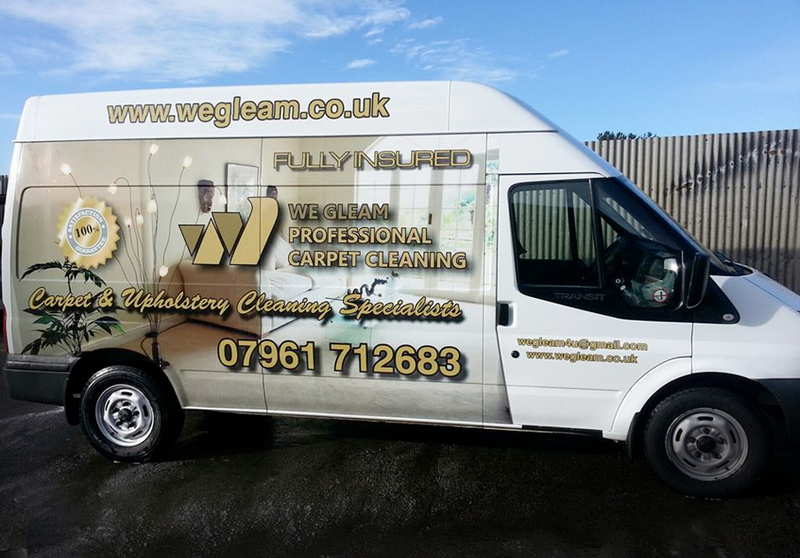 WE GLEAM is an established carpet & upholstery cleaning service based in the Wyre forest area. We pride ourselves on offering a high quality cleaning service to both domestic and commercial customers. If you've got a stubborn, unsightly stain on your carpet or upholstery call us - the specialists. Unlike some companies, we use only the most advanced quick-drying carpet soil extractors. Professional carpet and upholstery cleaning. We pride ourselves on offering a high quality cleaning service to both domestic and commercial customers. If you have got a stubborn unsightly stain on your carpet or upholstery call us - the specialists. We use only the most advanced quick drying carpet soil extractors.